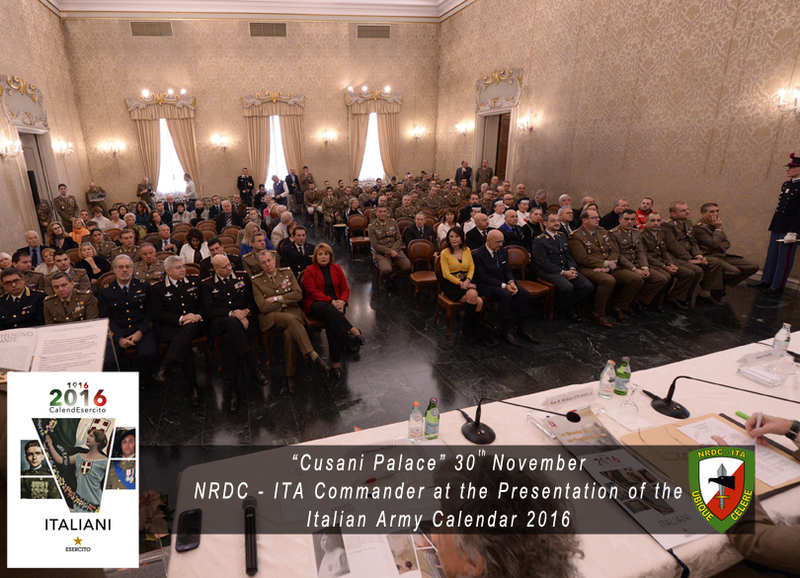 Milan, “Cusani” Palace, 30th november – Lt Gen. Riccardo Marchiò represented NRDC-ITA at the presentation of the Italian Army Calendar 2016. 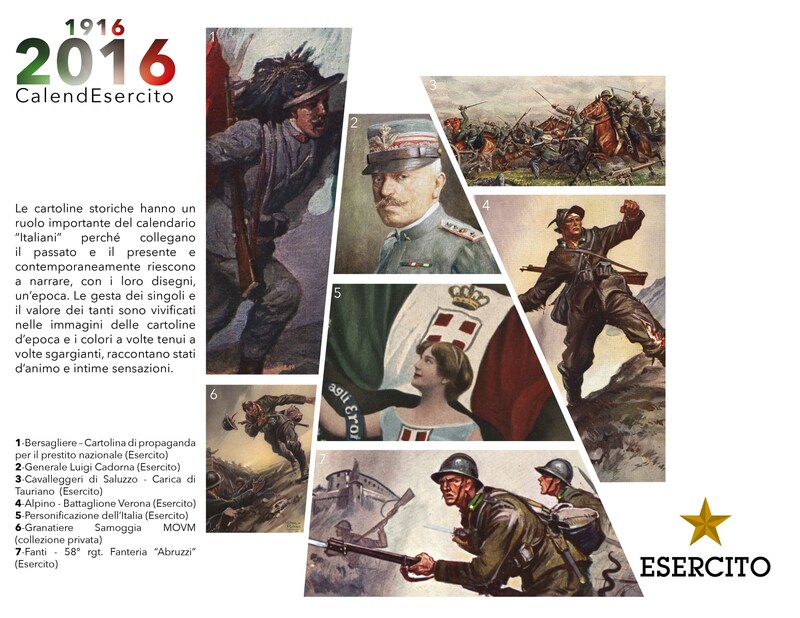 The calendar is dedicated to those Italian heroes who became clear examples of value in the last century. 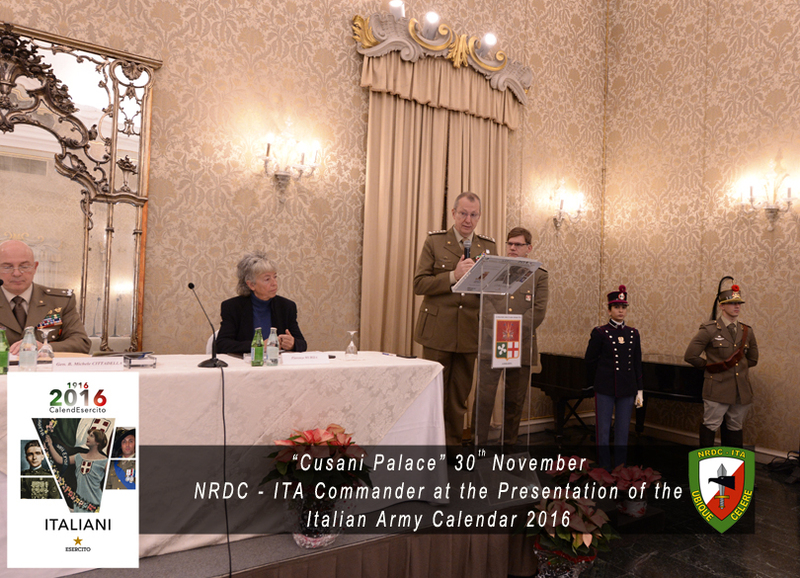 Among them, Elia Rossi Passavanti, a Cavalry man awarded with gold medal for bravery both during the 1st and the 2nd World War, and Maj. Giuseppe La Rosa, a Bersaglieri Officer who lost is life in 2013 during an attack in Afghanistan.